Now that voters have legalized marijuana in seven more U.S. states, it’s natural that people want to move ahead and take advantage of their new right to purchase cannabis legally. Except that you can’t do that. Not yet, anyway. And in most cases, the wait could last until 2018. In all the places where voters made marijuana legal, citizens now must wait on state officials to work out issues such as where they will sell marijuana, how people can get licenses to do so, how the state will handle the influx of tax money and other legal issues. Here are some estimations on when marijuana will be available in the states that just legalized it in the November election, as well as some issues that have come up already (especially on the East Coast). First, the four states that legalized recreational marijuana. Voters in the Golden State, the nation’s largest with 39 million people, approved the use of recreational marijuana. Medical marijuana is already legal in California. However, state officials will not have the process set up to grant licenses for recreational marijuana dispensaries until January 2018. 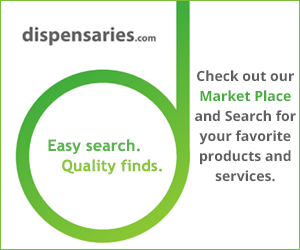 In the meantime, you can still get medical marijuana if you qualify under California law. On Dec. 15, residents of Massachusetts become the first people on the East Coast with the right to possess small amounts of recreational marijuana. The problem? Finding a place to buy it, because there isn’t one yet. And there won’t be until at least the start of 2018, giving state officials time to iron out the process of licensing retail dispensaries. Additionally, state Treasurer Deborah R. Goldberg wants to delay opening retail marijuana stores beyond January 2018 and raise the proposed 3.75 percent tax rate. The vote to legalize recreational marijuana in Maine passed by such a close margin that a recount is now underway. Officials expect the recount, which will start Dec. 5, to last four to six weeks. Much like Massachusetts, residents of Nevada can legally possess small amounts of marijuana very soon (in Nevada’s case, Jan. 1, 2017) but there are no legal places to buy it. However, officials in Nevada are reacting differently. They want to quickly get recreational sales legal to avoid creating a large black market of cannabis sales. Deonne Contine, the state’s taxation department executive, said the state is working on temporary licenses for medical marijuana dispensaries that would allow them to sell recreational marijuana as well. The temporary licenses could be in place by summer of 2017. Three states voted to either start or expand the sale of legal medical marijuana. In Florida, voters expanded medical marijuana to people with a wider range of medical conditions, but it will take the state Legislature, which meets in 2017, to iron out exactly how it will work. “If it was easy it would be cheese or shoes, and marijuana is neither of those,” attorney Richard Blau told WFLA in Tampa. Another thing to watch: some areas of the state already are proposing bans on marijuana sales, including temporary bans in Boca Raton and Deerfield Beach. In Arkansas and North Dakota, voters also approved medical marijuana sales. Arkansas plans to have a commission set up to review license applications from dispensaries by June 2017. North Dakota marijuana advocates expect it to take nine months to a year before dispensaries are open and licensed by the state.